The Software Product Line (SPL) is an emerging methodology for developing software products. Currently, there are two hot issues in the SPL: modelling and the analysis of the SPL. Variability modelling techniques have been developed to assist engineers in dealing with the complications of variability management. The principal goal of modelling variability techniques is to configure a successful software product by managing variability in domain-engineering. In other words, a good method for modelling variability is a prerequisite for a successful SPL. On the other hand, analysis of the SPL aids the extraction of useful information from the SPL and provides a control and planning strategy mechanism for engineers or experts. In addition, the analysis of the SPL provides a clear view for users. Moreover, it ensures the accuracy of the SPL. This book presents new techniques for modelling and new methods for SPL analysis. With explanations of fundamental concepts further illuminated by real-world experience, this book spells out the technical issues involved in adopting a product line strategy, as well as the organizational and management issues that are so critical for success. 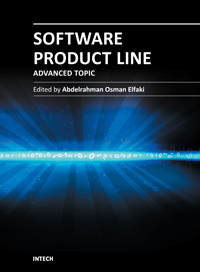 In providing a comprehensive set of practices and patterns, this book defines and explores the key activities for software product line development and explains specific practice areas in engineering, technical management, and organizational management.